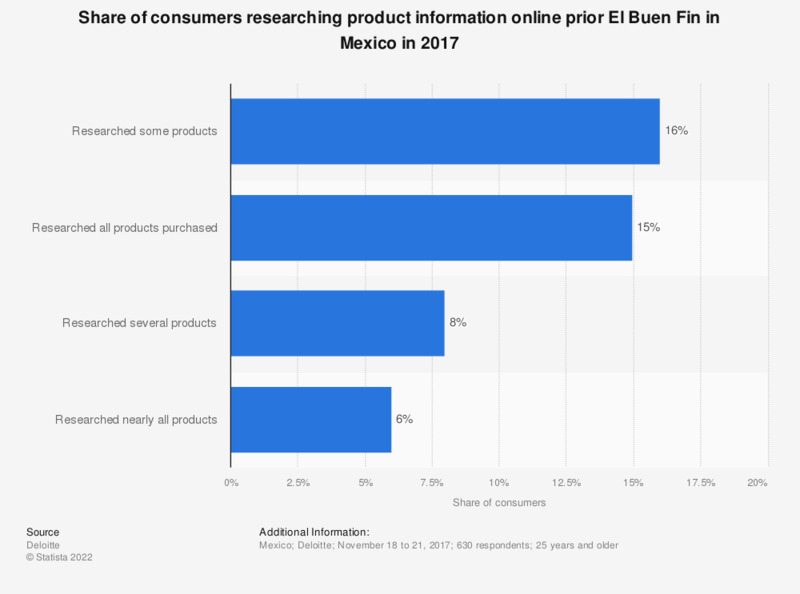 This statistic shows the results of a survey concerning the interest of consumers in researching product information online prior their purchase on El Buen Fin in Mexico in 2017. According to the survey's results, that year, 15 percent of respondents claimed to have researched online all products bought before purchasing them. Everything On "Online shopping events in Latin America" in One Document: Edited and Divided into Handy Chapters. Including Detailed References.